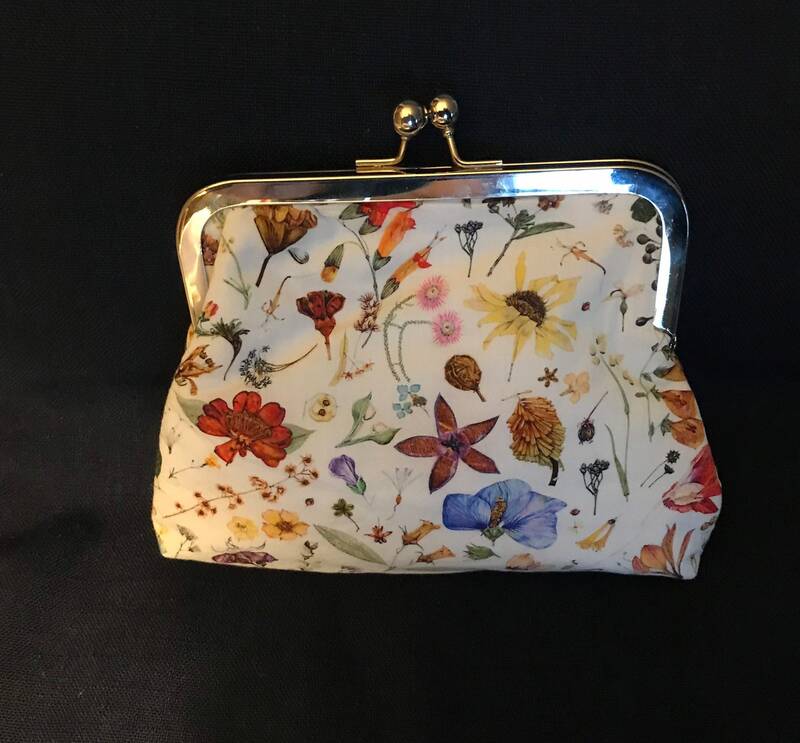 This lovely one of a kind clutch purse was made with a beautiful Liberty of London lawn cotton. Pictures of this fabric do not do it justice and it’s a shame we can’t “feel “the quality of the cotton through the screen but I guarantee it is top of the line. The fabric is an exquisite floral . This exact fabric was used by the J Crew runway couture line and I was lucky enough to acquire a piece of it.The primary colors are every color of the rainbow. 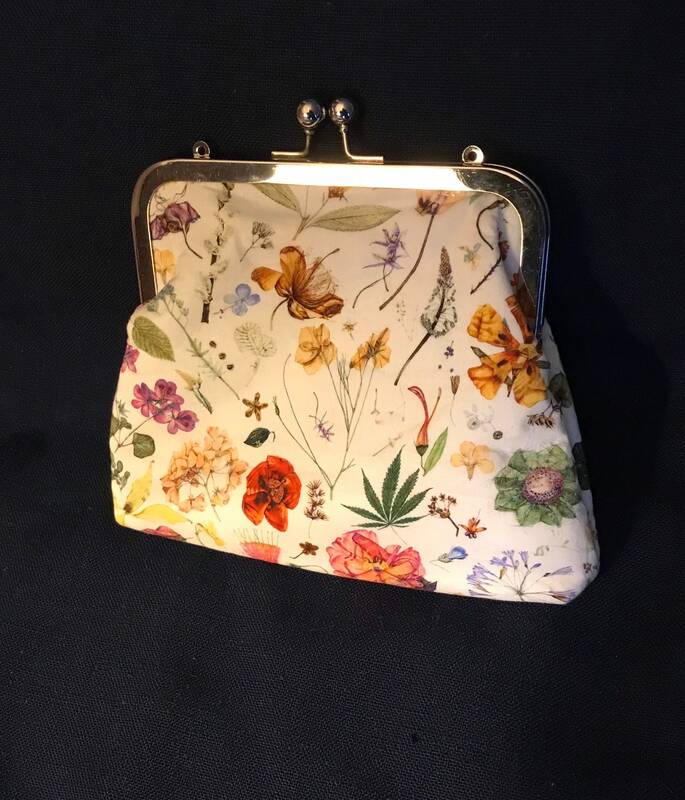 It is like carrying an English garden on your arm! Made with a top quality silver metal frame. 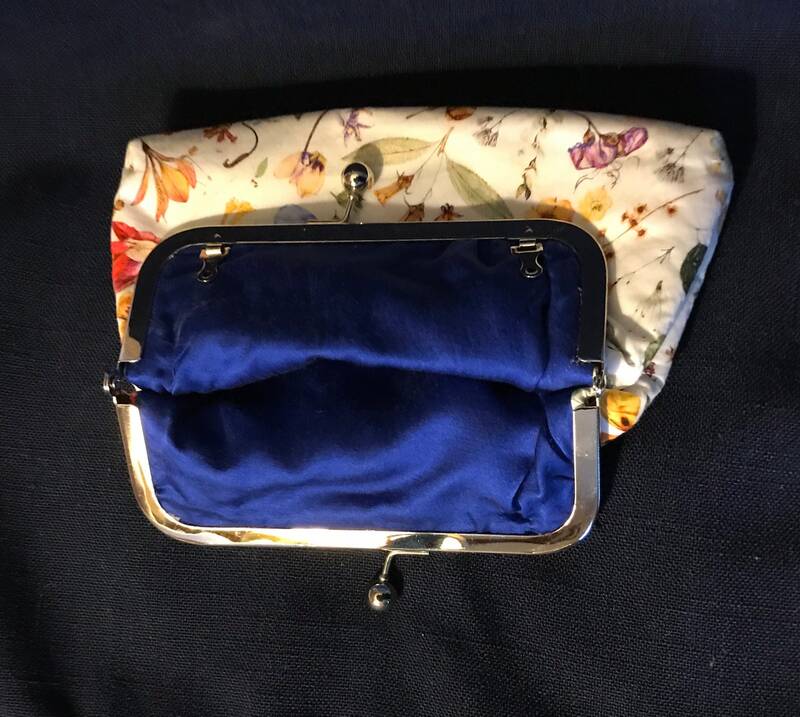 The bag is lined in an amazing royal blue silk making it beautiful inside and out. Reinforced with fusible interface so bag keeps it's shape. This is a classic bag that never goes out of style. Perfect for spring and summer. Makes me happy to think of the flowers to come. 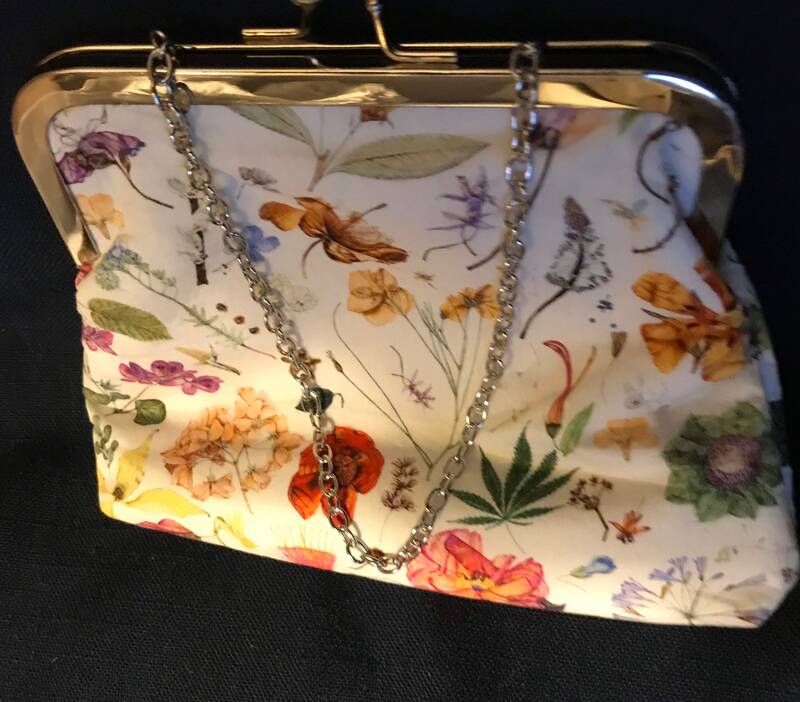 This purse, as well as many others in my collection are wonderful as gifts. Great for graduation, bridal gifts or a gift for yourself. Perfect to slip a little cash or gift card. Please see all of my bags. Most are using natural, upcycled and recycled items. Most are one of a kind and all use high quality fabrics and supplies from designer collections. All are timeless and classic.